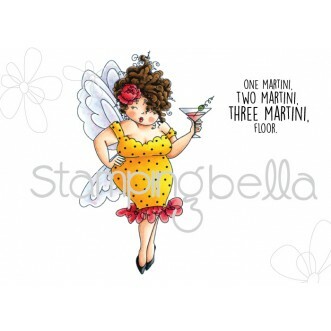 When I saw this new stamp Edna Needs A Martini from Stamping Bella, I knew I just had to have her! As soon as I saw her, I had a card in mind. I’m thinking I’ll make a few more cards like this one, yes? The sentiment is perfect! LOL! I had so much fun making this card. Edna is so sassy, and so adorable! I just love Edna! I paired Edna with one of the chicks from The Chicks Who Couldn’t Even for this card. I thought the Chick matched the sentiment perfectly! I used my Copic markers to color both Edna and the Chick. Thank you to The Marker Geek, Elaine Hughes for her wonderful videos on coloring and her great color maps for the Stamping Bella images! 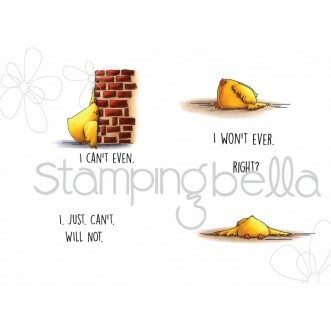 I kept this card simple as I thought the images and sentiment said it all. I used some card stock to frame the card and that was all I thought it needed. I hope you enjoyed Edna as much as I do!